Instructors and students new to online learning often wonder about the optimal weekly number of hours needed to succeed in the course. This article reveals guidelines set forth by Arizona State University. This white paper was presented at the 2015 Distance Teaching and Learning Conference. It presents a number of strategies which can be used to create effective and relevant online courses and programs. It was been written for a business audience, but remains an item of interest for an educator audience! Link: The Market is Sending a Message About Modalities; Are We Listening? Online education did not develop with the intention to replace traditional education; it is a modality in response to a market need. It should be supported with infrastructure that suits the medium and the learners, which often differ from place- or “building-based” learners. The market is pushing education to offer alternative modalities. Are we strategically planning on delivering high-quality products with exceptional service infrastructures, or are we forcing the proverbial square peg in the round hole running online options with building-based services? Source: Dull, Charles. “The Market is Sending a Message About Modalities; Are We Listening?” evolllution. Published 8/10/2015; accessed 10/21/2015. The rapid growth of competency-based education programs has prompted concerns about academic standards and quality. 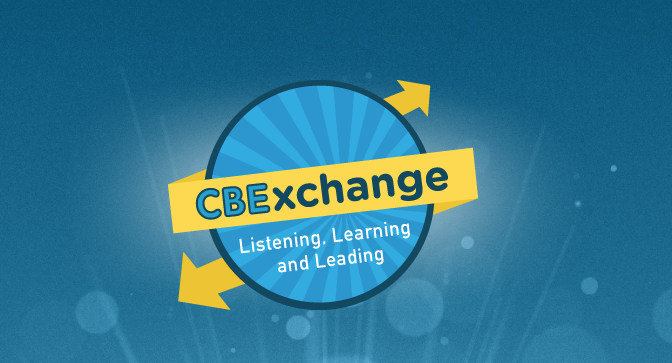 Representatives from numerous institutions participated in the CBExchange, a conference designed to share ideas and information about leading efforts in the field. The meeting’s agenda features speakers who are experts on competency-based education from various organizations — including some who are skeptical about the emerging form of higher education. Fain, Paul. “Keeping Up With Competency.” Inside Higher Ed, September 10, 2015. A summary of the attitudes that often accompany a faculty member’s reluctance to teach online, as well as advice on how to encourage those late adopters. Subtle though it may seem, the center of higher education is shifting to learning and away from teaching. The enterprise is now about the student, not the faculty member. Students have become savvy consumers, demanding services and attention that they previously ceded to the faculty domain. The transition is not an easy one for the ego of faculty who are accustomed to being at the center. Boot camps have become the activities of choice to build new skills through intensive, engaged training, especially in tech and information management fields, for individuals who do not want to commit to the longer – and often more expensive – graduate degree programs. Until recently, these have not been associated with formal colleges and universities. Northeastern University is deploying one of the first boot camp programs from a traditional university, called “Level”, as a non-credit, two-month long program on data analytics. Northeastern’s boot camp will run alongside of its existing graduate degree programs in urban informatics and information design and visualization. Ellen Wexler. “University-Run Boot Camps Offer Students Marketable Skills — but Not Course Credit.” Chronicle of Higher Education. October 13, 2015. The most recent survey of faculty attitudes on technology produced for Inside Higher Ed details the 2015 responses to multiple aspects of educational technology use, online learning, and social media effects on academia. The responses come from 2,175 faculty members and 105 academic technology administrators. Colleges and universities have spent hundreds of millions of dollars on technology they believe will improve student outcomes and simplify administrative tasks. Educational technology companies continue to demolish investment records on a quarterly basis. With all this money raised and spent under the guise of improving postsecondary education, the 2015 Inside Higher Ed Survey of Faculty Attitudes on Technology suggests that many instructors believe the gains in student learning justify the costs — even if the results are perhaps less significant than desired. Carl Straumsheim. “Partial Credit: The 2015 Survey of Faculty Attitudes on Technology.” Inside Higher Ed. October 14, 2015.